Katie and Peter’s house is both the sum of their combined talents and the fascinating fusion of very different tastes. 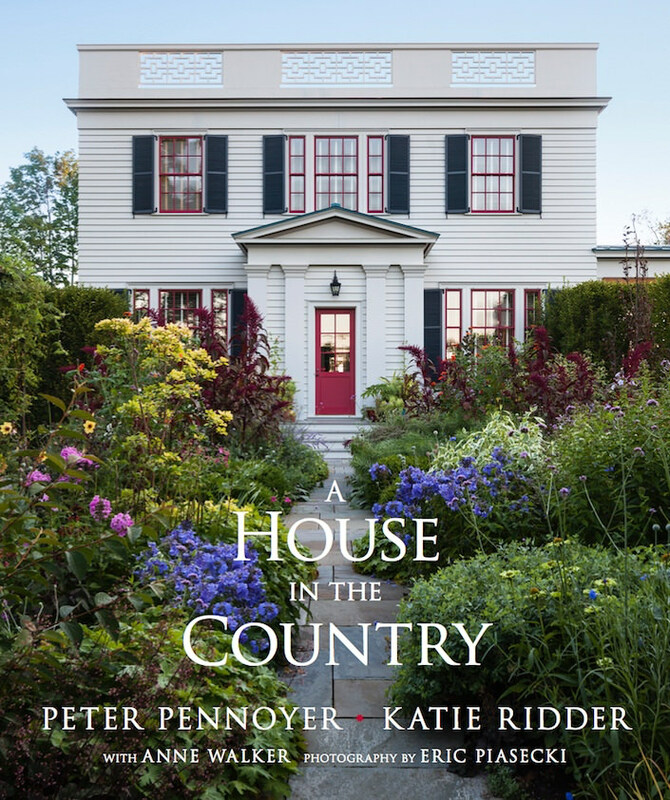 The rigor of Peter’s architecture and the color imbued layering of Katie’s interiors play off each other in unexpected ways, united by a love of detail and artisanal craftsmanship. Peter had always envisioned a simple box for the house, one inspired by Greek Revival enhanced with architectural detail. Collaborating with long time colleague Gregory Gilmartin, the house may be a box but it is hardly simple. With four distinct facades, it embodies the spirit of some of Peter’s architectural idols – Karl Friedrich Schinkel, Sir John Soane, Delano & Aldrich, Duncan Phyfe and Benjamin Latrobe, distilled down to a final iteration that is at once “vernacular and classical, humble and monumental.” And Katie’s choice of buoyant red trim and blue shutters offers a dose of whimsy to the elegant elevations. Inside, free flowing rooms, enhanced by Katie’s ebullient interiors, belie the complexity of the plan. 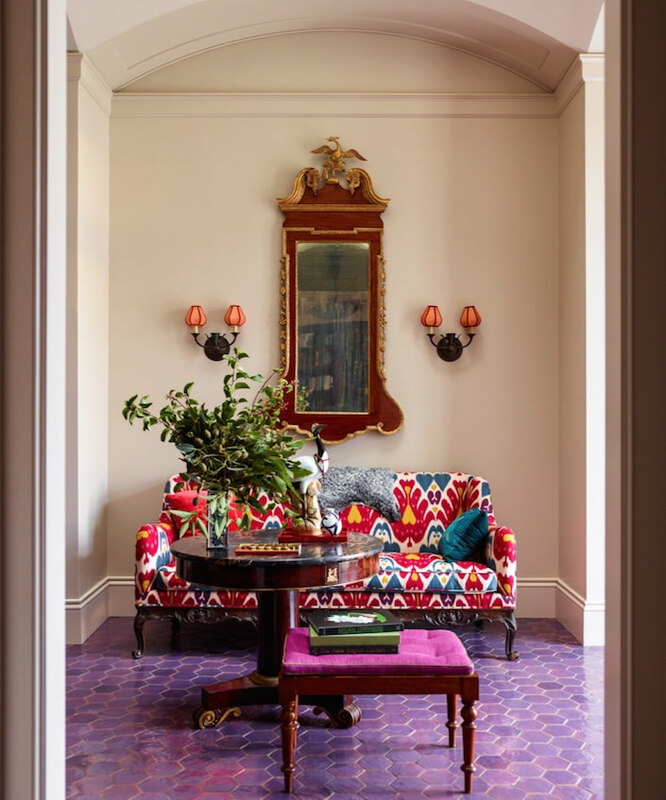 The vaulted entry, above, features an eclectic mix of purple Moroccan tiles, a fabulous 19th century le Manach covered sofa from Christies and Swedish sconces with Katie’s signature custom shades. Throughout the house, personal collections and unexpected pairings of old and new yield fresh and fearless rooms. 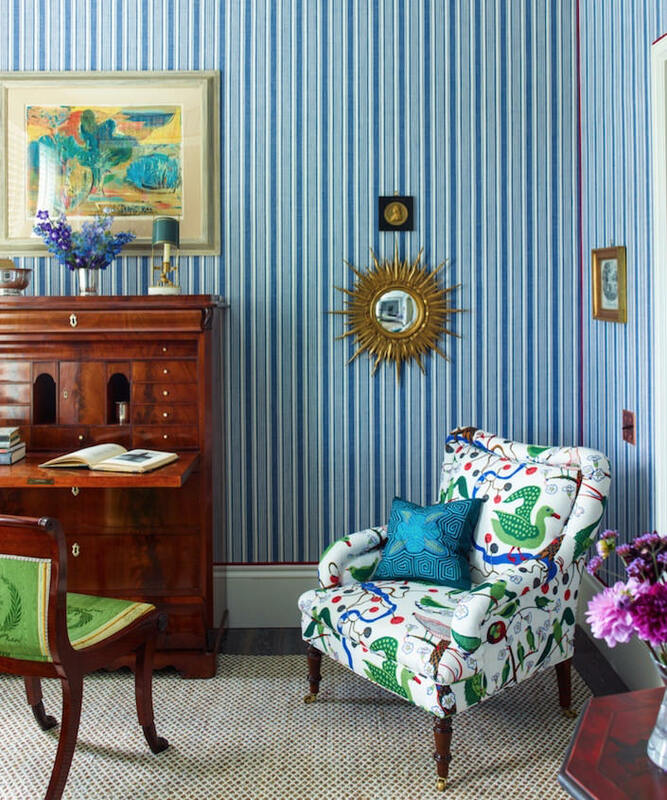 In daughter Gigi’s room, above, classic antiques and striped upholstered walls with tailored trim anchor a lively Swedish print on the chair. Each room in Peter’s “box” is connected to the outdoors, where Katie’s gardens now thrive. A gatefold spread in the book reveals the layout and key to all the plantings in her flower garden. 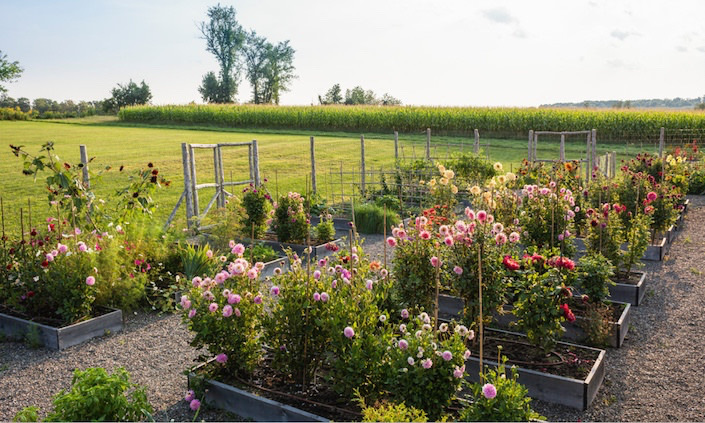 Her cutting garden, above, includes 80 different types of dahlias, and assortment of annuals, vegetables, herbs, and berries that make for colorful arrangements and delicious dishes all summer long. It is an impressive creative endeavor, as is everything this talented couple has achieved in their beautiful house in the country. So thank you Katie and Peter – we are both charmed and inspired! A big thank you to video sponsor Vendome Press, the publishing house who brings you A House in the Country, as well as eight other luxurious tomes this fall. Named after the most elegant square in Paris, this prestigious publisher offers a select list of illustrated books, produced with the most meticulous attention to detail and quality. From The English Country House, Fifth Avenue Style and Palm Beach Chic, to Haute Couture Ateliers and Cartier in the 20th Century to Markham Roberts and Tom Scheerer, each title is impeccably designed, produced and printed. Stay tuned for their new look coming very soon. This entry posted in architecture, At Home with, books, design, furniture, garden, interior design, Quintessence video series, Stylish Shopping. 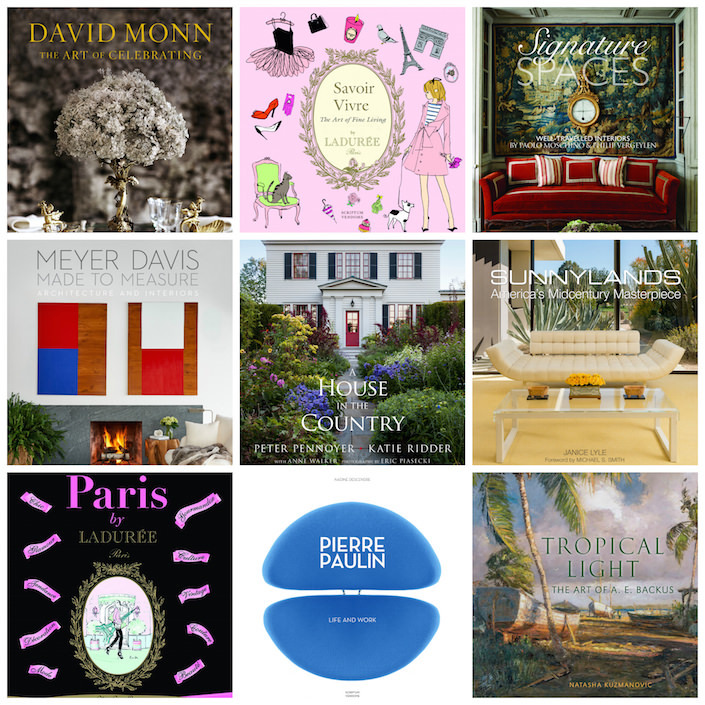 Entry Tags: Architecture, At Home with, Design Books, interior design, interior design videos, Katie Ridder, Peter Pennoyer, Video Bookmark the permalink. I’ve been looking forward to this posting and it does not disappoint. Their home is magical! 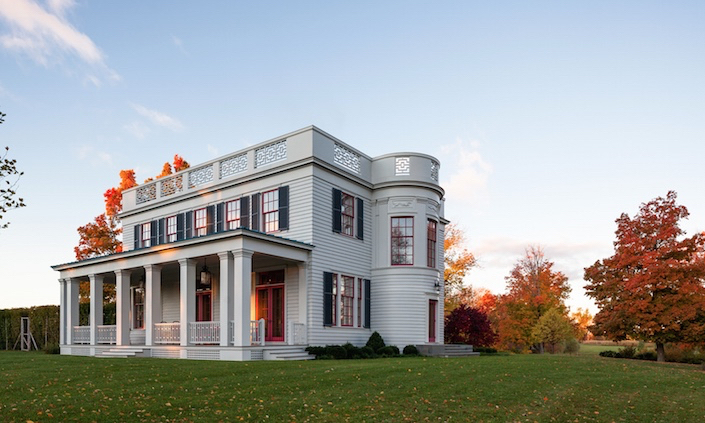 The classical architecture paired with Katie Ridders designs is so fresh. Thank you! Unique and fascinating. You choose your subjects well. What a wonderful way to spend the morning! What a happy house to come home too. Thank you so much for the little ‘escape’ to the country. 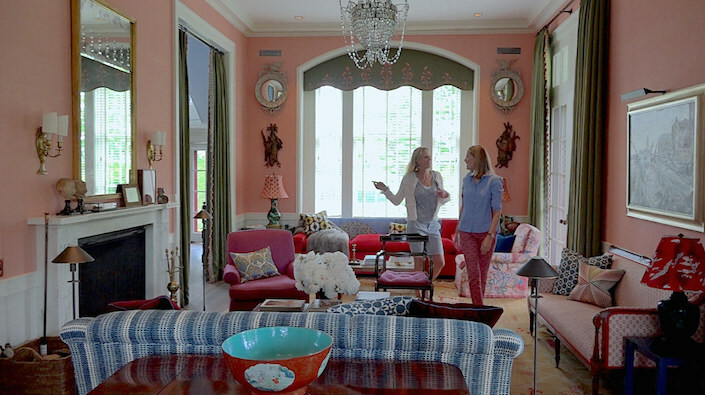 Thank you for this lovely tour of an enchanted home, filled with scrumptious details! I could watch this 1,000 times. So gorgeous. What cost and elegant house. I love!!! Love the use of color. Purple tile entry? Marvelous! Fabulous coverage of an extraordinary home, thank you for sharing. What an amazing post and video. Thank you Stacey and Susanna! WOW! WOW! WOW! What creative collaborators! The deft color mastery found in this home was mouth gaping. The Power Couple in New York ! 84 queries in 1.405 seconds.